Windows 8 is finally here and i am writing a small review about it for a common user like me , if you want a full review (full technical review)you can visit any one of the biggest tech websites like pc world. This review will tell just a good and bad features of new Windows 8. There is a new Windows 8 Metro interface, it will act like Start Menu, when you click on start button , all applications appears like tiles on Windows 8 screen, also you can search an application with search option with auto sort capability. 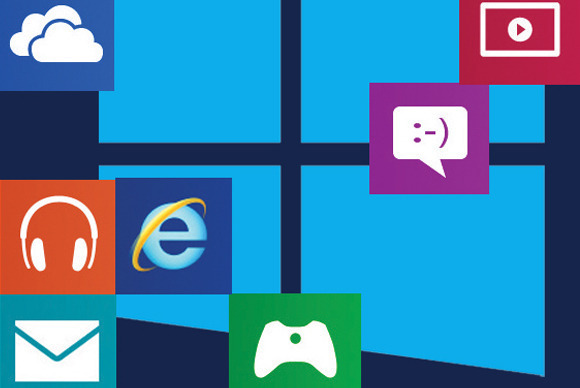 Live tiles are also among the key features of the Windows 8 Start screen. :) It looks great, Windows 8 Tablet like interface. :( Wait a minute, Tablet like interface.... hey i am using a desktop, no touch screen here. All icons appears nice but you want a touch screen or touch mouse to interact with screen. 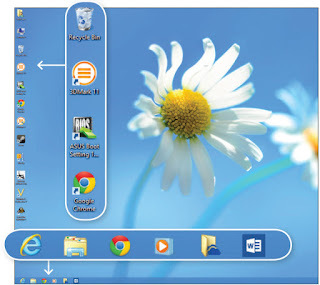 Right click change : right-clicking an object on the desktop in Windows 7 shows a context menu, While in Windows8 , right click produce a bar at bottom with assorted content. It means no direct right click use , you have to move cursor at bottom on bar to interact with assorted content. :( Why Microsoft ... Why can n't you keep things simple ??? You can understand it like this boot screen is home screen of mobile and then on pressing Windows button (Menu button in mobile) it will move to desktop. :) I like this feature as it allows to make a custom homescreen on our Windows 8 and less useful apps on desktop , hence utilizing less resources. The Microsoft Store : Microsoft added a store to Windows, much like the marketplaces for Mac OS X, iOS, and Android. If you want to buy apps from the Microsoft Store, you need to create a Microsoft account. Perhaps i doubt the apps quality on this store as apps are of very low quality , only few nice apps are available. :) More choice of apps means more interactive Windows 8 environment. Minimum system requirements : You need atleast 1GHz or faster , 1GB of RAM (or 2GB for 64-bit systems), 20GB of hard drive space and a DirectX 9 graphics card with WDDM driver. :) Its just the price for better user interface, like Apple did... for people using OS like 98, XP, Its time to buy a new computer. More Secure : Windows 8 is more secure with compared to Windows 7. With more than thousand security fixes, More powerful Windows defender, it helps to fight with increasing online threats. :) more security, lesser chances of hackers to get into your system. Storage & File System Reviews : Windows 8 includes a new file system called ReFS (Resilient File System). It’s compatible with most NTFS file, The new operating system comes with Windows 8 app for the SkyDrive cloud-storage service. If you have a Microsoft account, you can get 5GB of SkyDrive space. :) Now, its time for cloud storage... future technology. Final Verdict : Windows 8 isn’t for everyone. If you’re mostly a desktop PC user comfortable with Windows 7, you need not upgrade to Windows 8.